Handsome & Co. | Mastering the Art of Making Mistakes: An Electric Guitar Maker’s Journey. The legendary tale of Thomas Edison’s arduous route to eventual success has been well told. Ten thousand failed experiments including having his factory burn down and still he didn’t give up, until he figured out how to make a light bulb that worked. If making guitars wasn’t the woodworking equivalent of narcotics, I’m certain many instruments would never have reached the concert halls, stadiums or hallowed pages of Instagram. Before you lay four pieces of timber: two exotic, two domestic. Right now they look rough, like those Deliciously Ugly ads for Snickers a few years back, but in a few months time they will sing together in sumptuous electrified harmony. An austere pencil sketch on graph paper will be transformed into something so beautiful your descendents will weep at the sight of it. When I started upon my journey as an electric guitar maker, I wasn’t a total noob. 2007 marked the beginning of my 25th year as a musician and my 12th as a guitarist. Former lives had included being a soloist, a songwriter, and a teacher. I’d always been hands-on, doing materials & tech at school and completing a mechanical apprenticeship. I was a little bit handy, to be sure. That said, aside from a couple of years at school where I learnt the zen art of making toilet roll holders, my specific woodworking knowledge was limited. 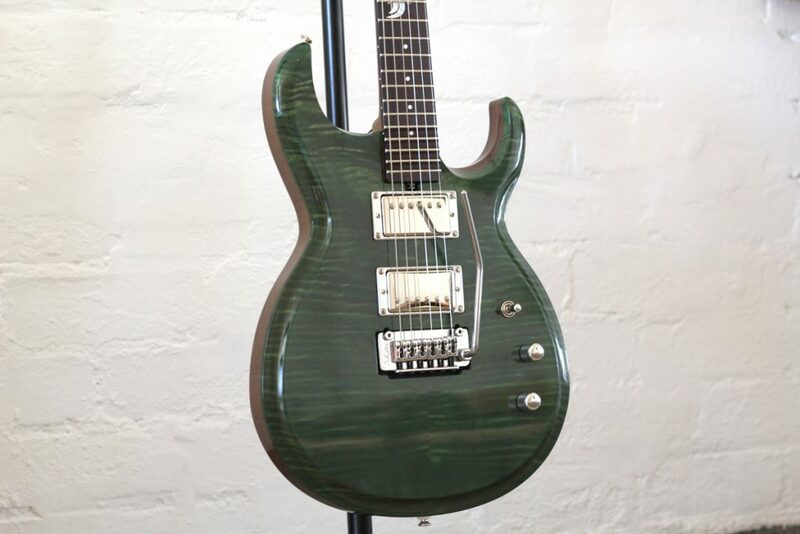 Still, I ordered an eBook on guitar making, digested it in record time and was ordering materials online before you could blurt out ‘Brazilian Mahogany.’ I chose the most difficult style of electric guitar to build, the ‘neck-thru,’ and was off and running. The eBook that I had bought introduced me to the idea of designing templates on computer and having them laser-cut for a router to follow. I was fortunate that my fiancée was a graphic designer and had illustration programs I could use. I copied the vivid amputee-gingerbread-man shape of my hero Dimebag Darrell’s Dean ML as best I could and sent them to the laser-cutter. My workshop/cave was a carpeted spare bedroom of an old rented brick veneer job in suburban Geelong. My glorious workbench was a large sheet of chipboard, precariously placed upon four dowelled treated pine posts. A freebie vacuum cleaner was placed in charge of destroying the evidence at the end of each working day should the landlord happen by. On one occasion I can recall needing to go to bed for a while in the afternoon after routing Mahogany without dust extraction or ventilation. Artisan hey. I poured a ton of money into buying specialised luthier tools such as fretting tools and files, and also bought a Chinese bandsaw. But eventually I had to curb my spending as I was getting married that year and didn’t fancy sleeping with the dog. Hence when I needed to drill an accurate hole a 10km drive to a mate’s place to use his drill press ensued. Mistake It To Make It. These flaws aside however, the guitar on its first live debut at Geelong’s National Hotel sounded great and was the talk of the punters in attendance. Hence the bug took hold. An investor would have called any further effort “throwing good money after bad,” but I obviously wasn’t an investor (more like a shavings-addicted madman) and so the journey continued. 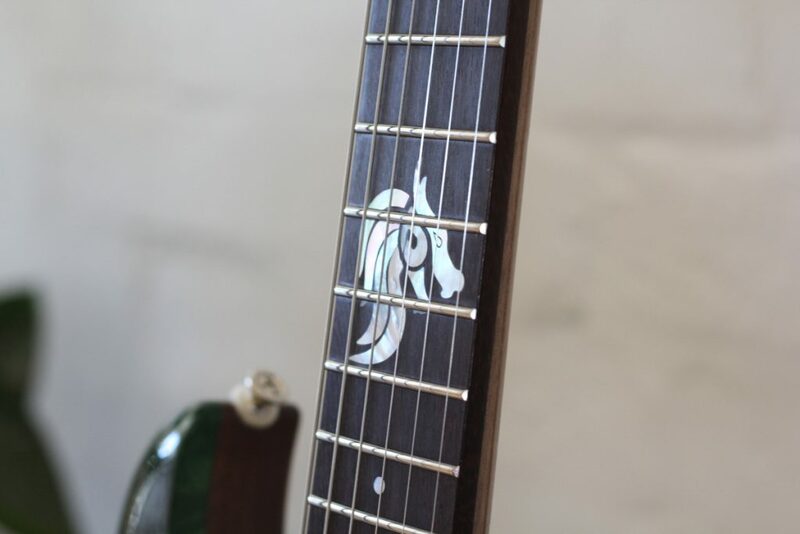 That journey involved years of building an innumerable number of prototype guitars, each one showcasing an array of new and unique blunders, until such time as I was confident enough to pitch an endorsement to a young influential musician and my profile slowly began to build. 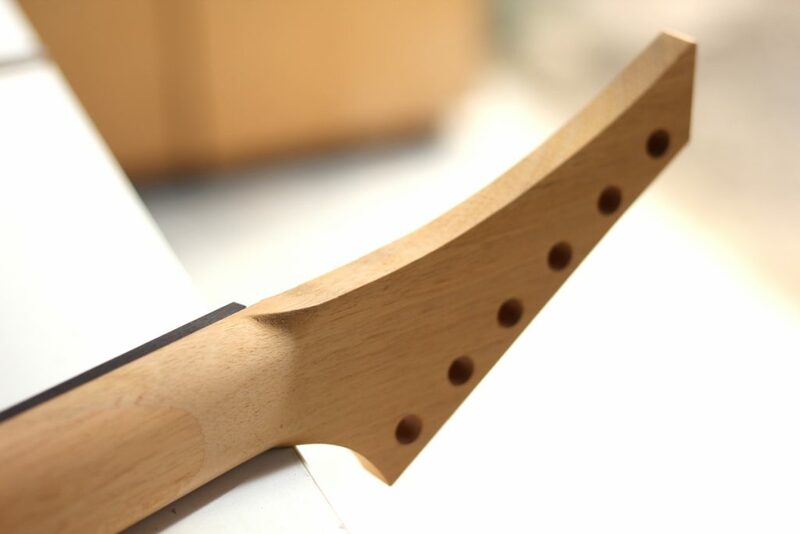 If I was asked – and regularly am – what one ingredient is most important to being able to turn out world-class electric guitars, it would undoubtedly be patience. I truly believe that continually working towards excellence in the woodworking arts makes you a more considerate and patient person in general. You learn to plan well – plan twice and cut once – because there’s no ‘undo’ button, no way to go back. Cultivating this attribute has also helped to keep me away from the grog and razor blades during ten years of marriage and two years of parenthood. Spreading the Roots of Knowledge. Over the past ten years I have learnt much from making guitars. I’m on a first name basis with the botanicals, the Dalbergias, Swietenias and Diospyros’. 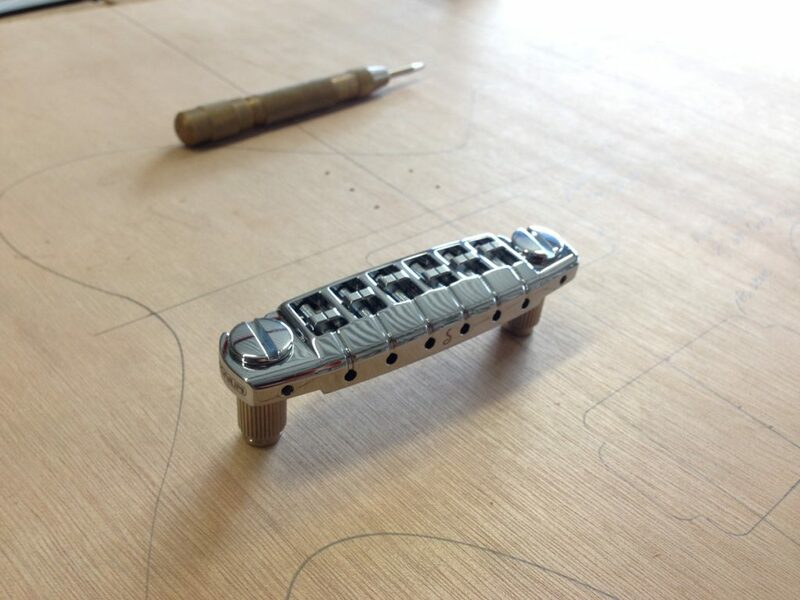 I’ve learnt how to mate a guitar neck to a player’s hand using a hand-file and spokeshave and I can turn a magnet, a bobbin and some copper wire into a sound so sweet that birds fly north forever in disgrace. The bottom line: If I can do it, so can you. You just need the screw-ups to prove it.